Terra Solutions, working on behalf of BSG Civil Engineering carried out the installation of 270m of deep sewers through the main commercial and tourist areas of Downpatrick using our Herrenknecht AVN1000 tunnel boring machine. We also constructed 5 deep manhole shafts using smoothbore caissons to act as launch and reception shafts in internal diameters of between 2.4m and 5m. The ground conditions and abundance of legacy services in the area were certainly important factors, but perhaps most importantly was the discovery of several significant archaeological sites which required careful management and liaison with the Northern Ireland Environment Agency. 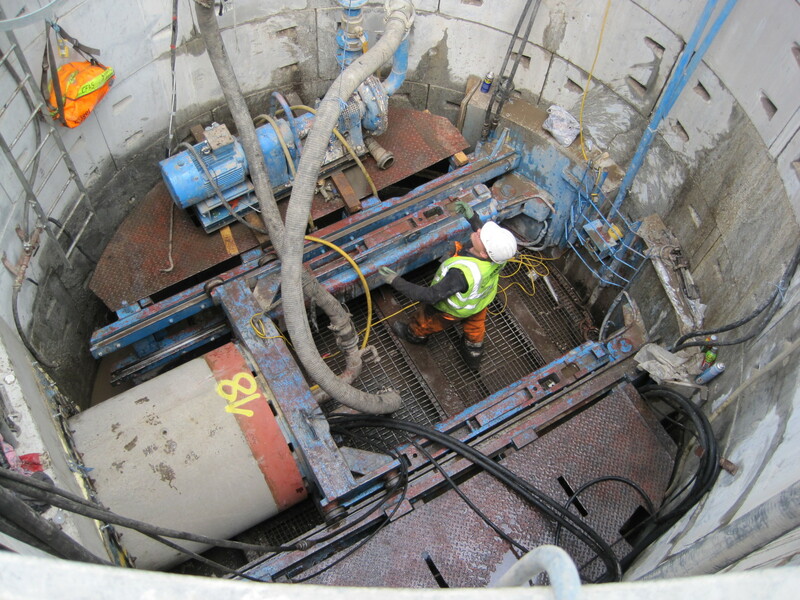 See our other Microtunnelling projects here.